“Water Works” is a 3D data-visualization and mapping of the complex water infrastructure of San Francisco. Working with data from the city of San Francisco and Kildall's own sleuthing on the web, he mapped out three water systems: the sewers of San Francisco, underground water cisterns and “imaginary” drinking hydrants. 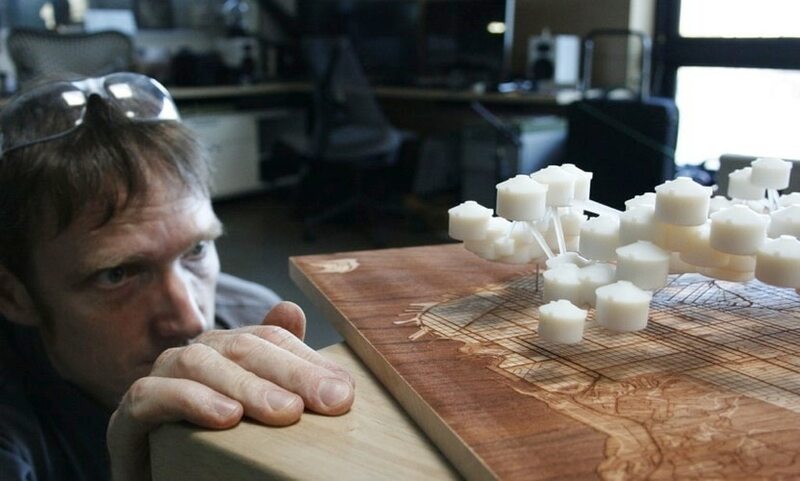 Kildall's custom code transformed these datasets into 3D models, which he 3D-printed as large-scale sculptures. 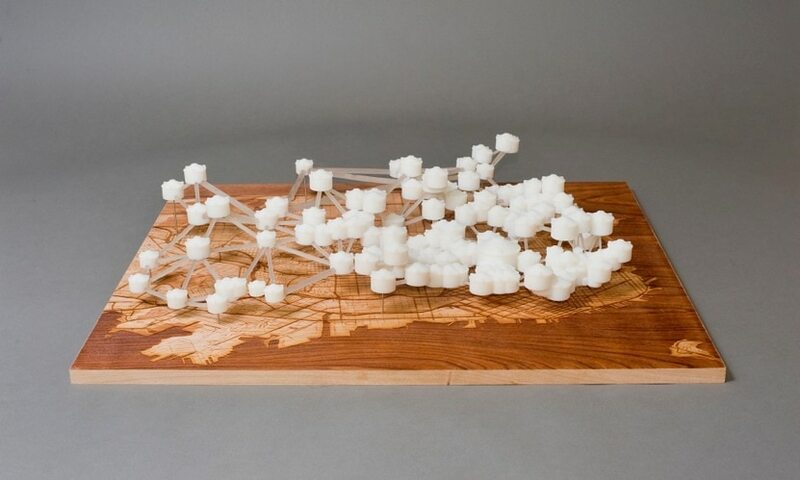 He mounted each on an etched wood map to geolocate the physical visualizations and paired each sculpture with an interactive web map.